In response to flooding that occurred in 2018, NTRPDC received funding through a National Emergency Grant from the US Department of Labor. 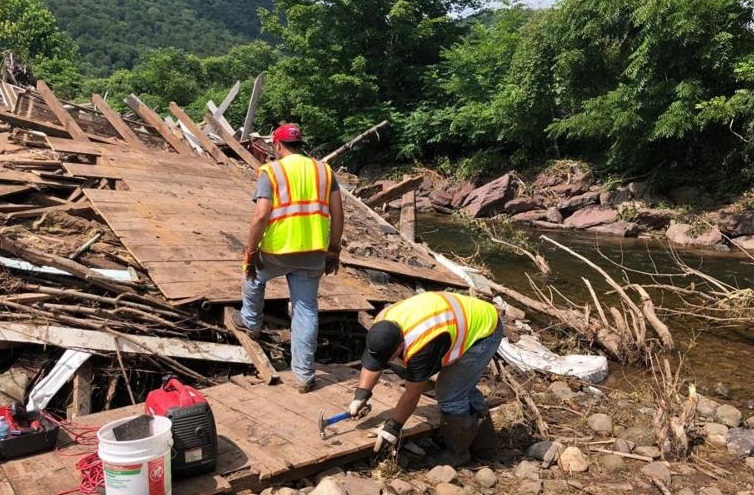 Funding is to provide stream debris clean up for flood-damaged areas along Loyalsock Creek in Sullivan County. The project supports work crews to do the flood clean up with the guidance and direction of local municipal officials. Individuals recently laid off from employment or considered long-term unemployed are eligible to work on the crew. The work crew will break for the winter months and resume again this spring. This project is administered through the Workforce Development Board and operated by Trehab, Inc. and Bradford County Action, Inc. For more information about the NEG flood program, please contact Melissa Fleming.